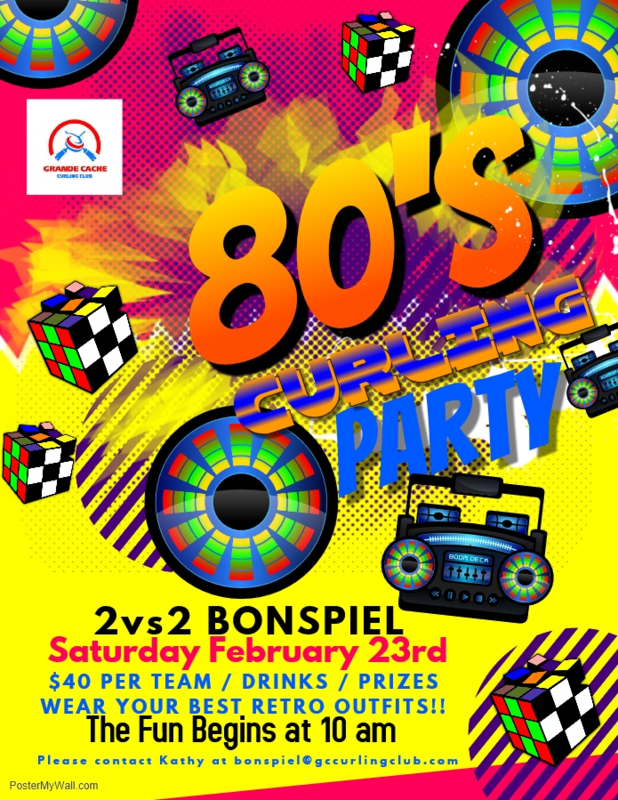 We will be hosting a retro 80's Party 2 vs 2 in conjunction with Curling Day in Canada on February 23rd. Registration for the day will be $40 per team. Hope to see everyone out for a great old 80's party! !